The views on this climb are stunning, including the Adriatic Sea to the west. PJAMM will document the top Croatian cycling climbs, including Sveti Jure in July, 2018. “Makarska (pronounced [mâkarskaː]) is a small city on the Adriatic coastline of Croatia, about 60 km (37 mi) southeast of Split and 140 km (87 mi) northwest of Dubrovnik. It has a population of 13,834 residents. Administratively Makarska has the status of a city and it is part of the Split-Dalmatia County. Makarska is the center of the Makarska Riviera, a popular tourist destination under the Biokovo mountain. It stretches for 60 km (37 mi) between the towns of Brela and Gradac. Its former cathedral of Saint Mark was the see of the former Roman Catholic Diocese of Makarska which was merged in 1828 into the Diocese of Split-Makarska. Near present-day Makarska, there was a settlement as early as the middle of the 2nd millennium BC. It is thought that it was a point used by the Cretans on their way up to the Adriatic (the so-called "amber road"). However it was only one of the ports with links with the wider Mediterranean, as shown by a copper tablet with Cretan and Egyptian systems of measurement. A similar tablet was found in the Egyptian pyramids. In the Illyrian era this region was part of the broader alliance of tribes, led by the Ardaeans, founded in the third century BC in the Cetina area (Omiš) down to the River Vjosë in present-day Albania. Although the Romans became rulers of the Adriatic by defeating the Ardiaei in 228, it took them two centuries to confirm their rule. The Romans sent their veteran soldiers to settle in Makarska. After the division of the Empire in 395, this part of the Adriatic became part of the Eastern Roman Empire and many people fled to Muccurum from the new wave of invaders. The city appears in the Tabula Peutingeriana as the port of Inaronia, but is mentioned as Muccurum, a larger settlement that grew up in the most inaccessible part of Biokovo mountain, probably at the very edge of the Roman civilisation. It appears on the acts of the Salonan Synod of 4 May 533 AD held in Salona (533), when also the town's diocese was created. Top 10 things to do in Makarska. Top 10 things to do in Podgora. 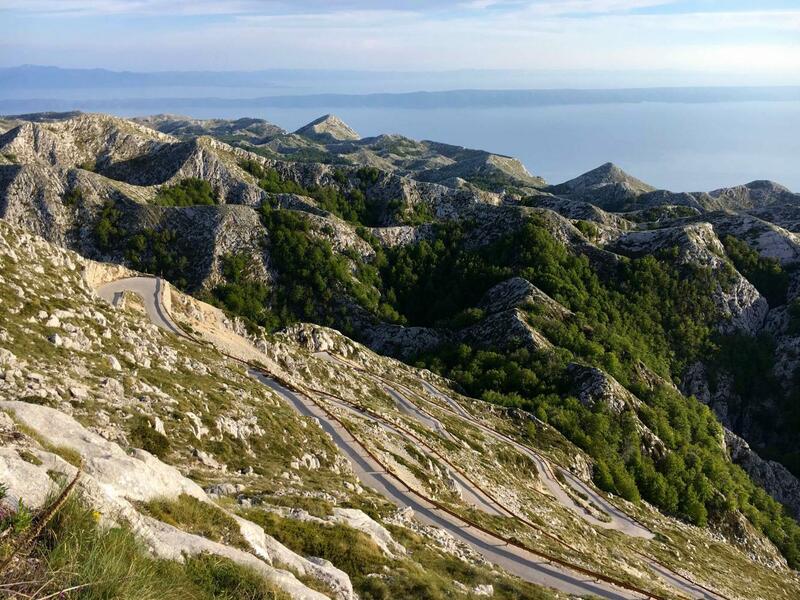 The most difficult cycling climb in Croatia with stunning views of the Adriatic Sea to the west as we climb. Climbs in the area are Sveti Jure - Makarska which can be viewed by clicking on "Routes in Area" in the card to the right, above.